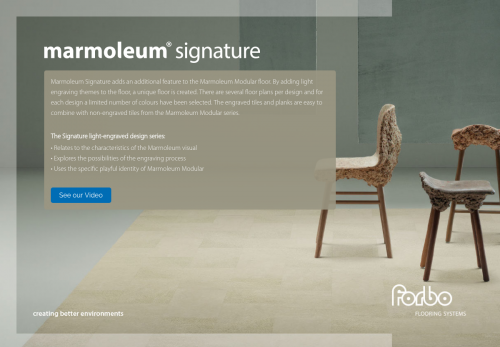 Marmoleum Signature adds an additional feature to the Marmoleum Modular floor. By adding light engraving themes to the floor, a unique floor is created. There are several floor plans per design and for each design a limited number of colours have been selected. The engraved tiles and planks are easy to combine with non-engraved tiles from the Marmoleum Modular series.